The tour will kick off in Oklahoma on 2 May. U2 HAVE CONFIRMED dates for their US shows and most of the European stops on the Experience + Innocence tour which kicks off in Tusla, Oklahoma on 2 May. The European leg of the tour will begin in Berlin on 31 August, with a string of European dates including Cologne, Paris, Madrid, Copenhagen, Hamburg, Amsterdam, Milan, Manchester and London. This morning, Live Nation and MCD Productions also confirmed that “special home shows” are being planned for Dublin and Belfast. They said details of these shows will be announced as soon as they are finalised. 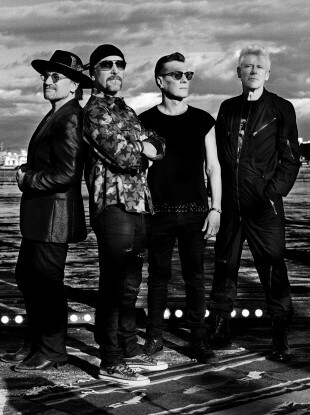 The tour follows the release of the band’s 14th studio album Songs of Experience. Promoters said the tour is a development of the “unique and innovative staging” of the band’s 2015 tour, featuring multiple performance areas, a state-of-the-art sound system, plus an all new super high-res LED screen nine-times the resolution of the 2015 screen. Tickets for the European leg of the tour go on sale on 26 January and venue and on-sale details for Dublin and Belfast will be announced soon. Email “U2 confirm America and European dates, promise Dublin show announcement 'soon'”. Feedback on “U2 confirm America and European dates, promise Dublin show announcement 'soon'”.